So, a quiet week this week. Final proof of Ghosts and Consequences. 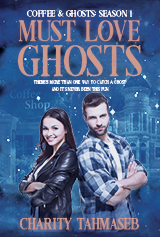 I sent the book to the Coffee & Ghosts review list and got the pre-order ready to go for the sale date of October 31st. That’s right. Halloween is the day! (Although, truthfully, you can buy a copy on Amazon already). I did get the chance to dive into episode two, and I’m revising that. Also percolating a few short story ideas … we’ll see if those come to anything.